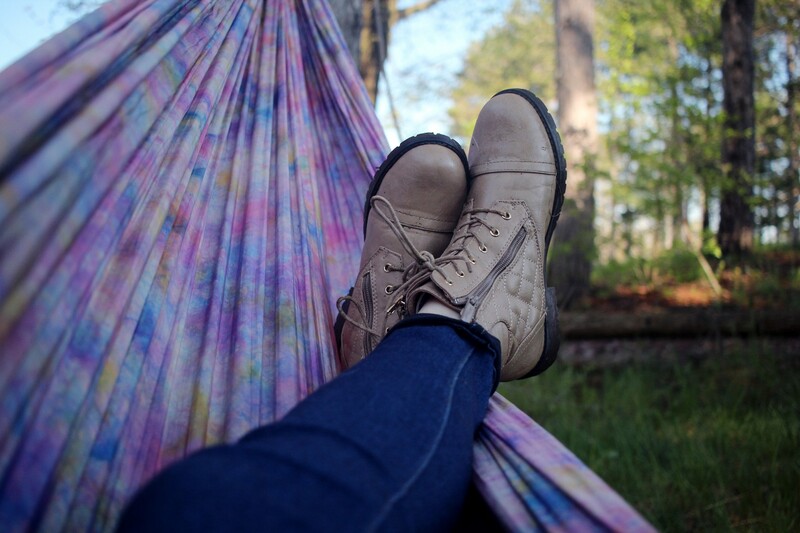 Easy methods to de-stress, just in time for spring. No supplies needed, 3 minutes or less. Although the weather may still be dreary, the calendar suggests that spring is right around the corner. What better time to clear up the elements of your life that contribute to a sense of stress. Remember, stress is not good or bad — it’s just a feeling you get when demands are greater than capacity. Even the concepts of eustress (good) and distress (bad) do little to help us truly understand the stress dynamic, as we’ve all experienced something positive leading to overwhelm if we’re not fully prepared or something negative bringing about glorious growth and change when we have what it takes to effectively adapt. When we are caught in a stressful experience, it’s important to first stop and ask the question: what am I really feeling right now? Feeling stressed provides us with no helpful information, but simply a bucket in which to temporarily dump our mess. Unfortunately, that stress bucket becomes heavier and heavier throughout the day, and we carry it around putting unnecessary wear and tear on our brains and bodies. By sorting through the clutter and unpacking the stress mess, we start the critical cleaning up and clearing out process that enables us to better manage our most valuable resources of time, energy, health, and happiness. If your stress bucket over-floweth, don’t try to unpack it all at once. Give yourself 3 minutes to do this exercise daily over the next week or two so that you can chip away slowly. Begin by asking yourself, what in my life is causing me to feel stressed and start to unpack the components until you get to the root cause. Is it the demands you feel are being asked of you? Or is your current capacity leaving you feeling tapped out? For now just clear away the noise, the excuses, the old stories you tell yourself about why you’re in this situation, and focus in on what your brain and body are trying to tell you in this moment. What’s causing the pressure or tension you feel? Spend a few minutes writing down your stress mess, and identify one aspect that feels most realistic to clean up right now. This next step is critical, although most people skip it and find themselves in more of a mess as a result. It turns out, when it comes to cleaning up the mind you have access to the most powerful chemical cocktail within your own internal regulation system and that is your own connection to positivity, curiosity, and gratitude. When you shift your attention for just a few moments to something uplifting, you actual trigger a chemical cascade in the brain and body that modifies approximately 1,200 known expressions inside your system. Brainwaves, neurotransmitters, hormones, heart rate variability, inflammatory and restorative markers start to dance in a more rhythmic way to help recharge our energy and see things in a new light. The lens through which you see the world is dramatically altered, and suddenly possibilities you never knew existed begin to show up. Resources you didn’t realize you had are now accessible, and stress can be transformed into simply a stimulus for change. The most important predictor of the stress response is one’s sense of personal control. When we feel victim to our circumstances, the brain triggers an experience designed to protect us short term but one that ultimately turns on us when we don’t take action. Looking at the two elements you uncovered in step 1, where are you able to take a small step of personal control towards shifting the demand/capacity balance in a better direction? If there really is too much on your plate right now, what can be eliminated? Is there someone in your life who can take an item off your to-do list or offer support to share the burden? You might be surprised to find that someone in your group of friends actually has strength in solving the same challenges you find a threat, and that by engaging with them for a better solution you not only reduce the stress in your life but you also help build their capacity and resilience. You may also notice that what you’re focusing on really doesn’t carry the weight that you initially gave it. Ask the question: does this really matter? Am I magnifying the mess by making it bigger than it really is, or does it truly need my attention right now? Get curious about stress. Will this matter in 5 years? Is there another way of looking at this? What’s the lesson here? By shifting to a curiosity mindset without judging ourselves in the process, we actually open up the neural pathways in the brain to support more creative and innovative ways to problem solve. If it turns out the stress does require some adjustment, we’ll have more solutions available to use from a state of curiosity than from a state of self-criticism or blame. If capacity is the issue, what could you do right now to refill your tank and have more energy to tackle the challenges that lie ahead? What do you do to recharge regularly? And if you’re not sure, spend some extra time right now creating a recharge toolkit with the strategies and techniques that give you energy. Perhaps a recharge playlist with music that’s encouraging or inspiring. A beyond funny folder with images, audio clips, or funny videos you can watch to lift your spirit. Places in nature where you like to spend time but don’t make the effort to visit because you are locked in survival mode. Take time to be proactive with your stress solutions so that when you’re feeling low on time or energy you’ll have options at your fingertips. Sometimes your stress mess takes more time to sift through, so you may decided to dedicate more attention to your initial awareness, appreciation, adjustment process. My Stress360 assessment can help you get an initial read on where the stress sensation is coming from. But over time, and with regular maintenance, you can quickly reset each morning and again throughout the day to better align your energy with the things that matter most. When you notice the dis-ease of stress, don’t just dump it in the stress bucket but take a look at what it’s trying to tell you. Shine your internal GPS right in its face and ask the question: what clean up or course corrections are required in this moment to get me back on track? By spending a few minutes to tidy each time stress shows up, you keep your stress load light and your energy charged to make stress an opportunity for positive change. I’m building a FREE Recharge Tool Kit to share with new videos being added every week.